We recently joined forces with Maui’s best for this fun, stylized bridal shoot. Meili Autumn worked her magic with the ladies’ hair and makeup, while Tamara Catz provided these exceptional bridal dresses. 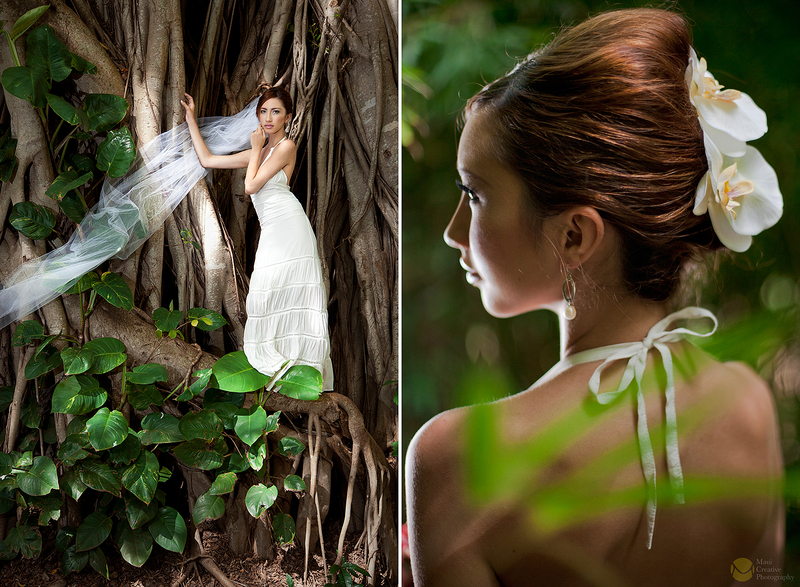 From the jungle to the sea shore, we incorporated elements of the islands to tell a story of two modern Hawaii brides.